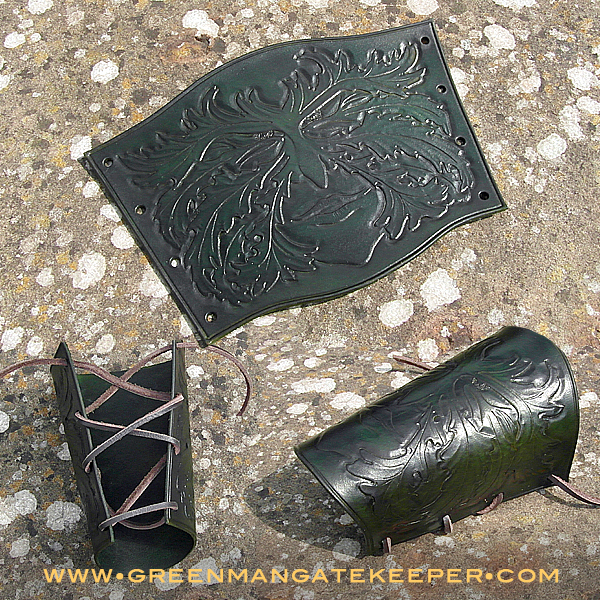 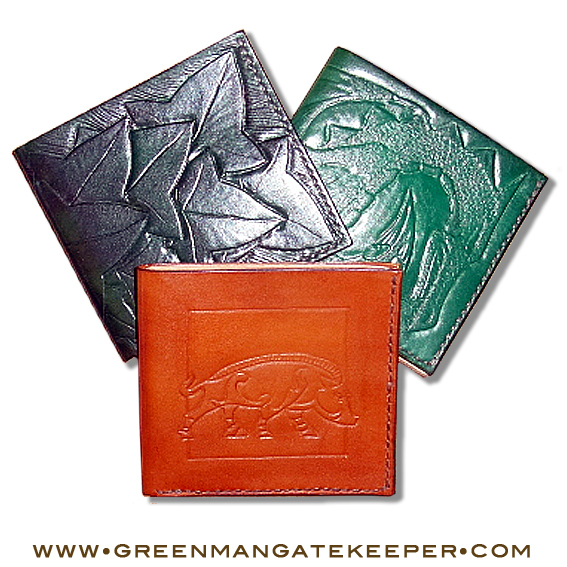 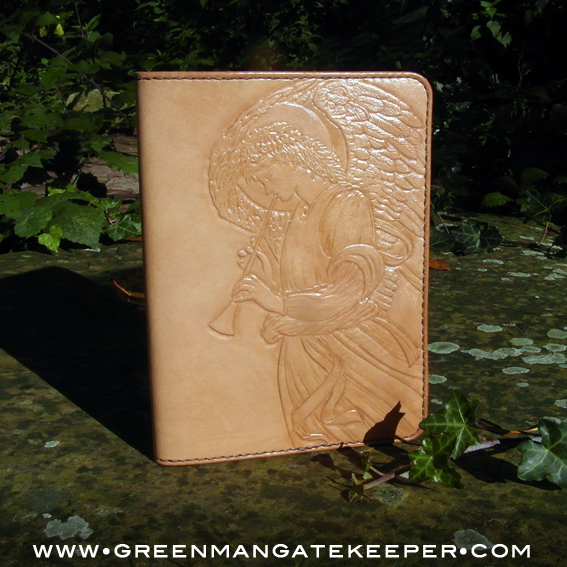 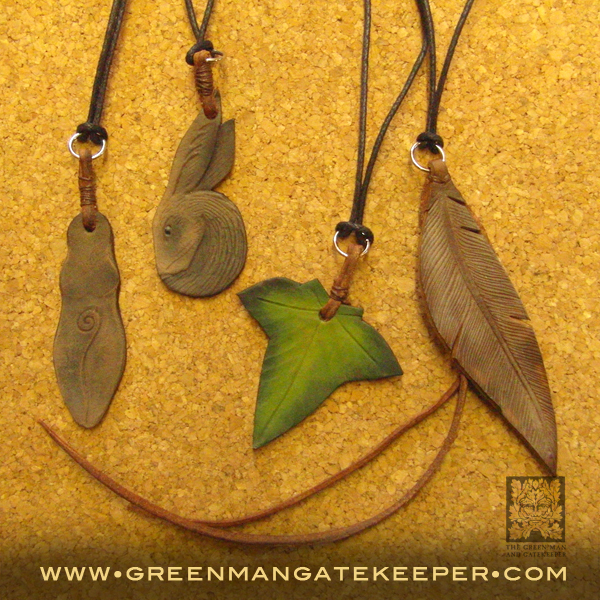 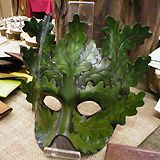 Vegatable tanned leather, hand tooled with a Green Man design. 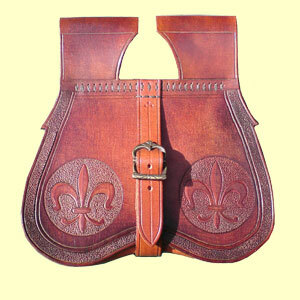 6oz oak tanned leather, aproximatly 2.5mm thick. 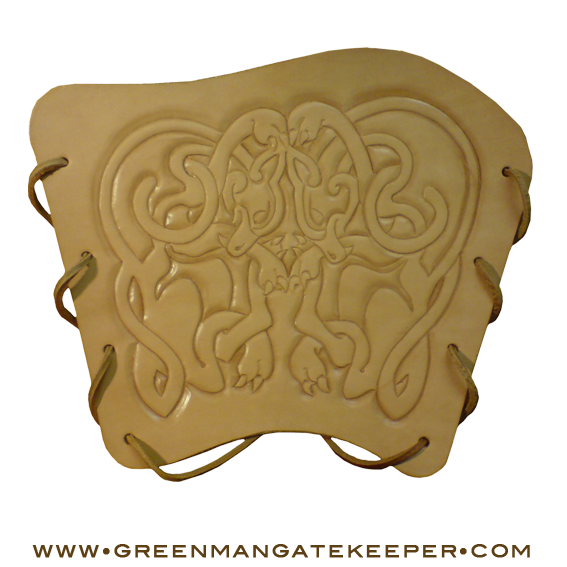 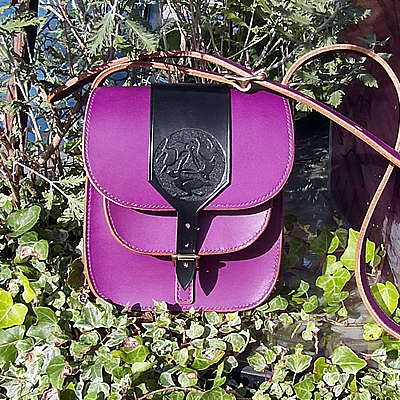 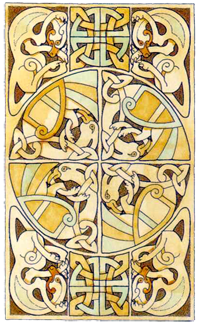 Vegatable tanned leather, hand tooled with a celtic, viking, saxon animal design from the Norse Tarot. 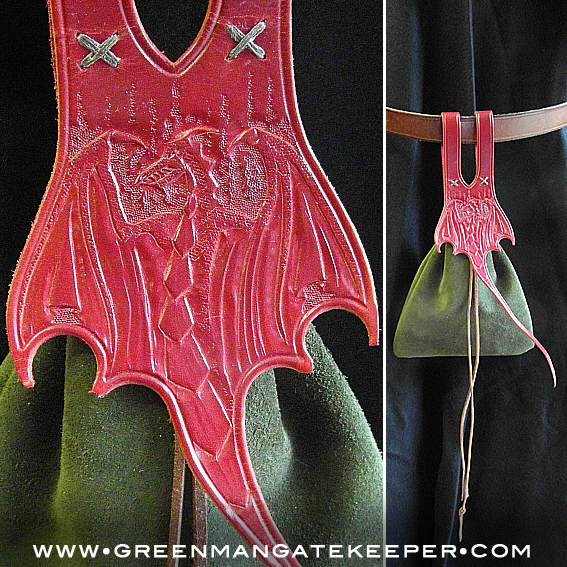 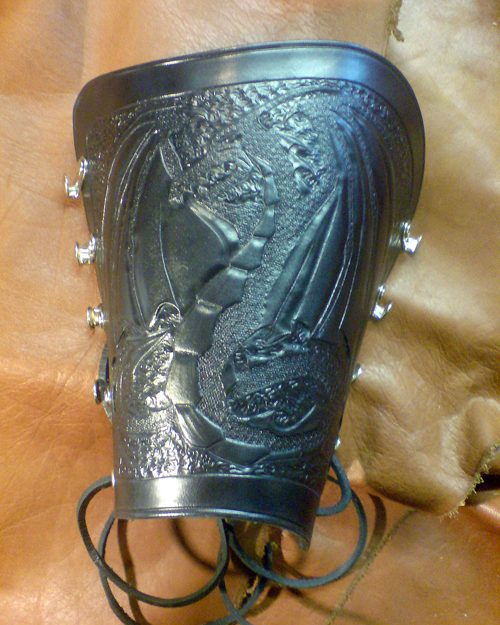 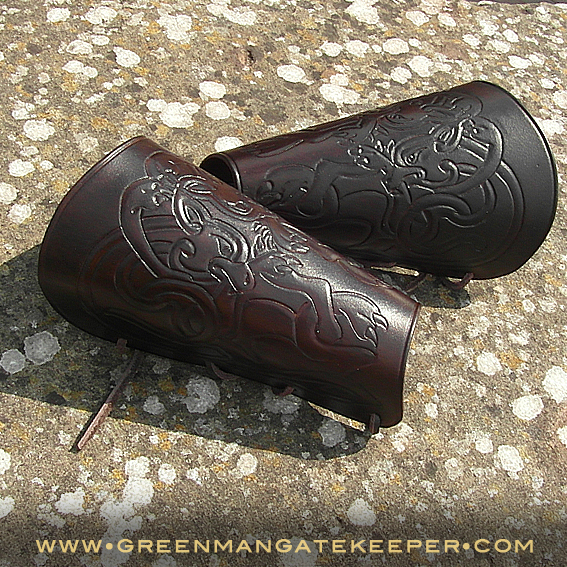 Black vegatable tanned leather, hand tooled with a dragon design. 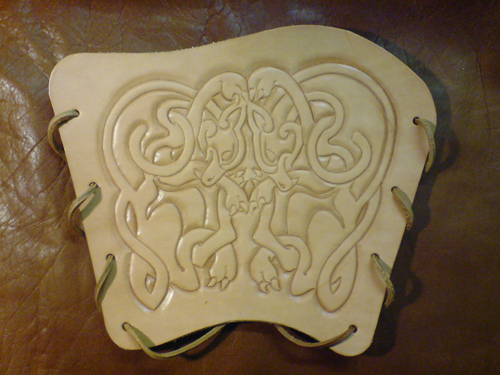 With lace hooks.